The 2019 North American Truck of the Year award was presented to the all-new 2019 Ram 1500 today at the North American International Auto Show in Detroit. 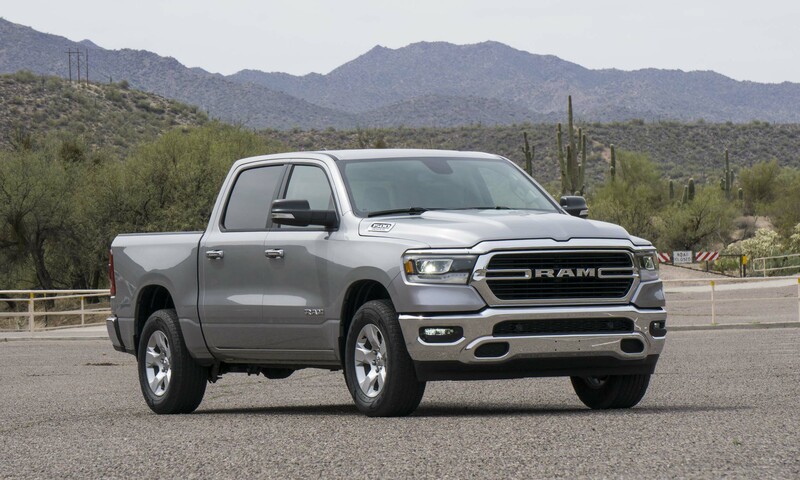 The Ram 1500 faced tough competition for the award from two other finalists that also happened to be redesigned full-size trucks: the 2019 Chevrolet Silverado 1500 and the 2019 GMC Sierra 1500. The Ram 1500 was previously named North American Truck of the Year in 2013. “The Ram 1500 is an important product for FCA and winning this award is one of the highest honors,” said Reid Bigland, head of the Ram brand. 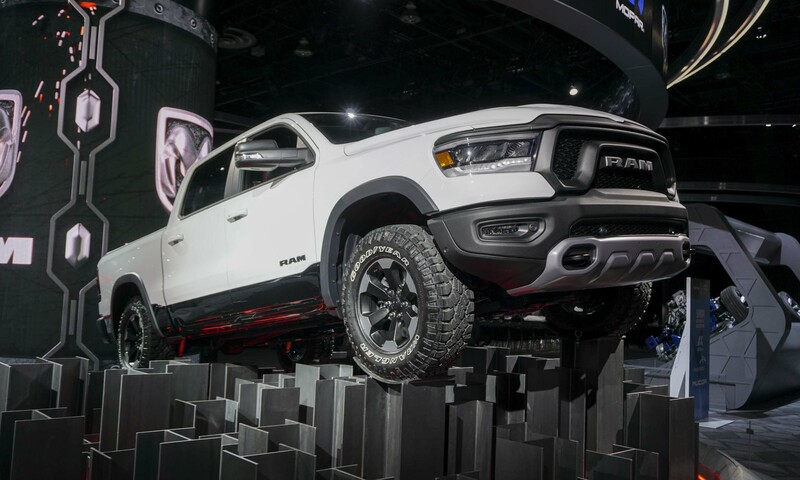 “In what is arguably the most competitive segment in the automotive industry, for the all-new 2019 Ram 1500 to be named North American Truck of the Year is tremendous recognition of the FCA employees who design, engineer and build a pickup that truly stands out,” Bigland confirmed. 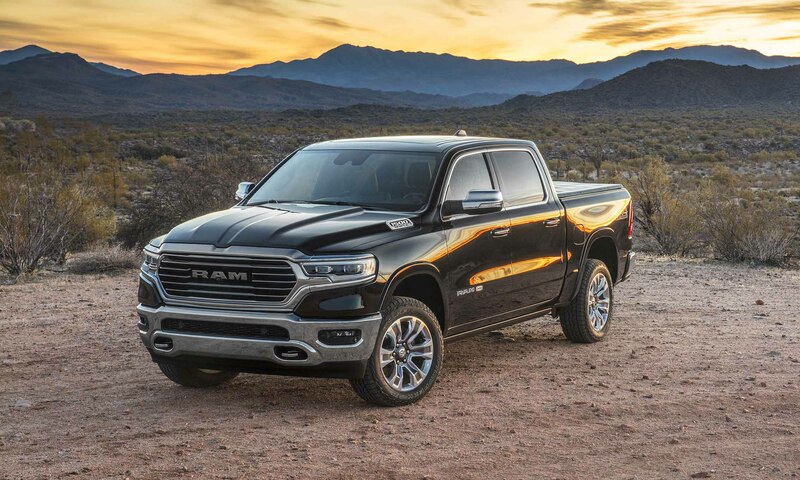 The 2019 Ram 1500 offers a combination of capability, new features, available luxury and new technology. North American Truck of the Year jurors indicated that some of the top reasons the Ram 1500 won the award were the truck’s eTorque mild-hybrid technology, luxurious interiors and 12-inch Uconnect touchscreen. The eTorque mild-hybrid system is offered in both V6 and V8 engine configurations. The Ram 1500’s exterior styling has been completely redone, including a raised aluminum hood and RAM lettering across the forward-leaning grille. There are six different grille styles, none of which feature the classic Ram crosshairs. 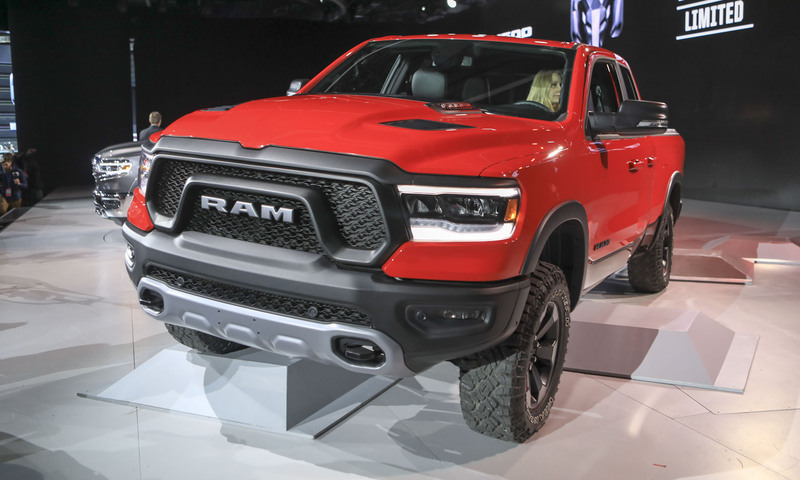 The new Ram 1500 weighs in almost 225 pounds lighter than the outgoing model, with a new frame that uses 98 percent high-strength steel and is 100 pounds lighter. Engineers mounted Active Tuned Mass Modules to the frame that counter any vibration, adding to the truck’s quietly smooth ride characteristics. The annual North American Truck of the Year award is presented each January at the North American International Auto Show in Detroit. 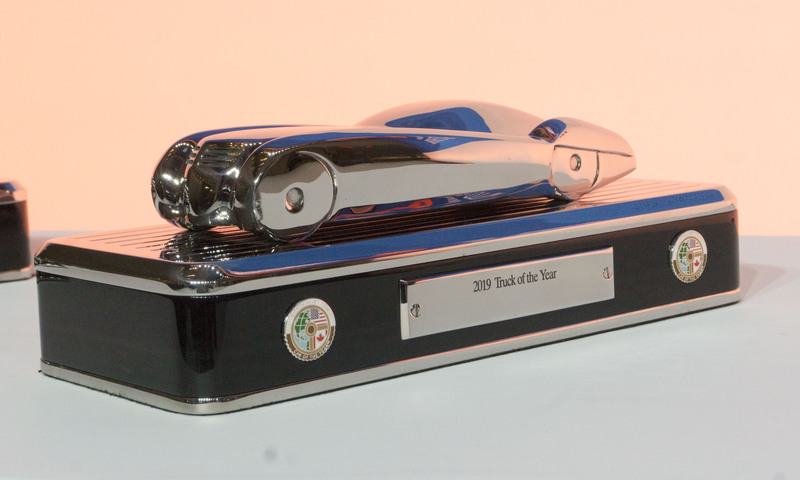 Although most accolades of this type are presented by an individual publication or study, the NATOTY award remains unique because it is based on ballots cast by an independent jury of automotive journalists from the U.S. and Canada. In order to be eligible, a vehicle must be all new or substantially redesigned. According to the group, winners excel in design, innovation, safety, handling, driver satisfaction and value for the dollar. Since the NATOTY award’s inception in 1994, domestic-branded automakers have won 16 times, Japanese companies have had five wins, and European makers have won four times. Of special note is an entirely new vehicle category and accompanying award that was added for 2017 — Utility Vehicle of the Year. 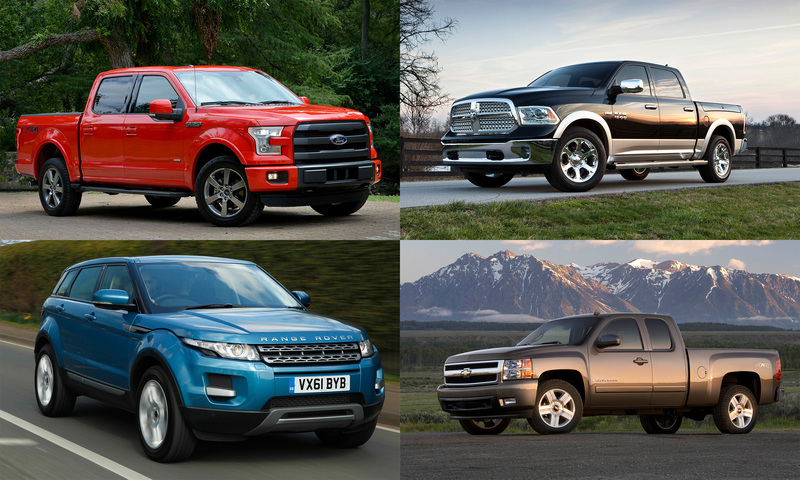 Here’s a look at the past winners of North America Truck of the Year. 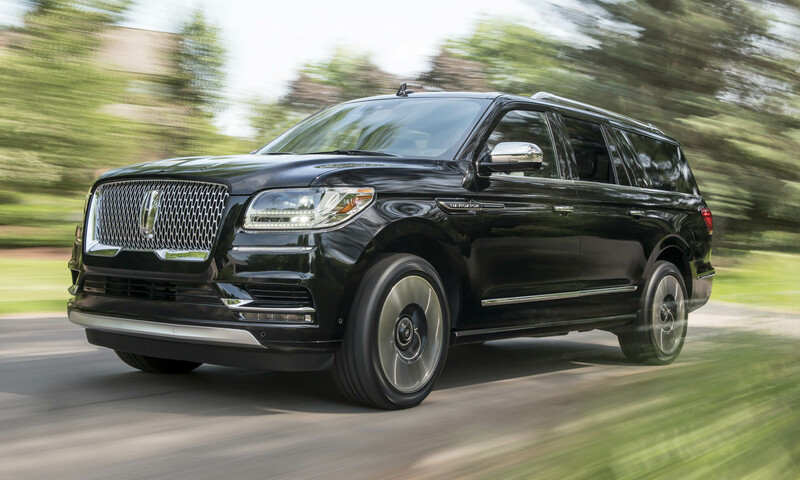 The luxurious Lincoln Navigator is a truck-based SUV, so while it seems it should have competed with other SUVs, it was listed in the truck category rather than with utility vehicles. The wraps came off the all-new 2018 Lincoln Navigator at the 2017 New York Auto Show, and the new model didn’t stray much from the look of the concept that was introduced one year earlier than that. The large grille immediately grabs attention, and when the driver walks up to the Navigator, the Lincoln logo lights up softly along with LED lighting that brightens the ground surrounding the vehicle. Ambient lighting inside illuminates all three rows of seats at night, while during the day a panoramic sunroof ensures that even those sitting in the third row don’t feel claustrophobic.The big Lincoln has big power to match — a twin-turbo V6 engine that produces 450 horsepower and 510 lb-ft of torque, delivered through a new 10-speed automatic transmission. 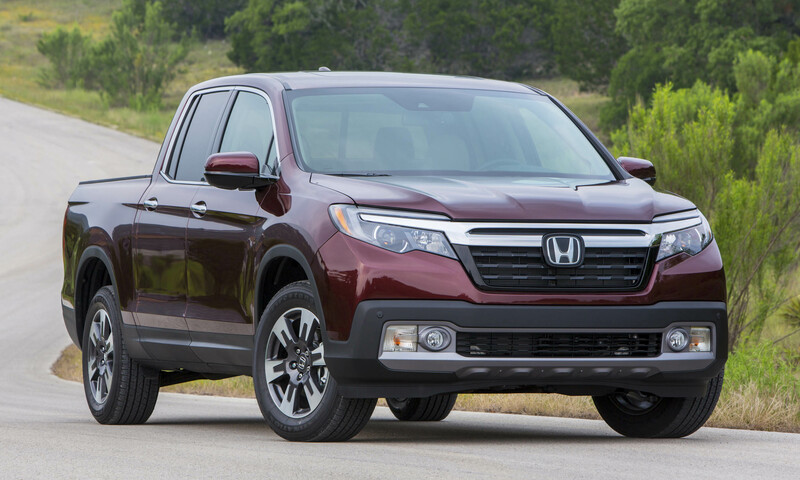 The Ridgeline is unique within the American truck market thanks to its unibody construction, but standing out from the crowd can be a good thing. Completely redesigned for the 2017 model year, the Ridgeline offers several features that are as distinctive now as when truck came to market 10 years ago, including a lockable in-bed storage trunk and dual-action tailgate — which is both left- and bottom-hinged. Ridgeline also can handle the obligatory 4X8 sheet of plywood laid flat. Power comes from the same 3.5-liter 280-horsepower V6 engine found in the Honda Pilot SUV, enough that the Ridgeline can tow up to 5,000 pounds. In addition to its versatile abilities, the Ridgeline is also rated as high as 26 mpg on the highway. 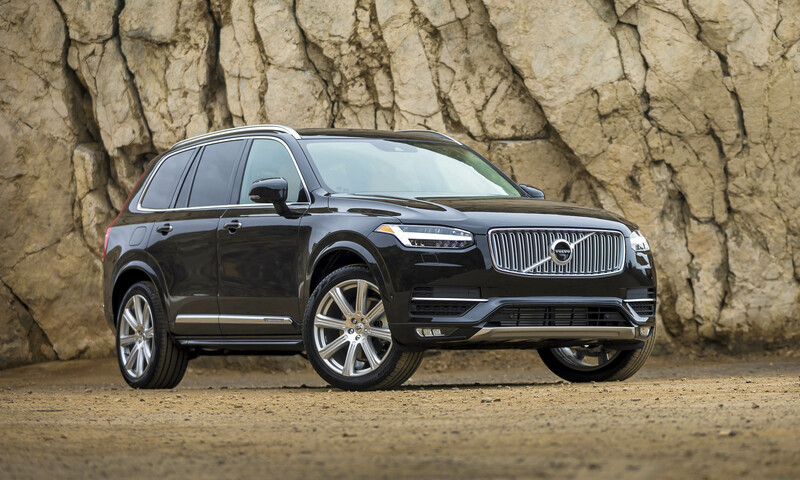 For 2016, the NATOTY winner was the completely redesigned Volvo XC90. 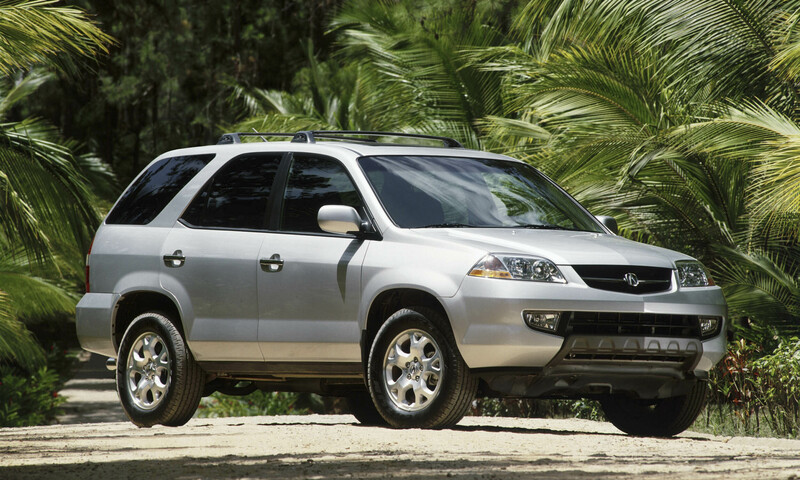 The SUV previously won the award when it went on sale in 2003. The XC90 can be equipped with an impressive array of high-tech safety innovations; it is the first vehicle in the world with technology that features automatic braking if the driver turns in front of an oncoming car. The potential crash is detected and XC90 brakes automatically in order to avoid a collision or mitigate the consequences of a crash. 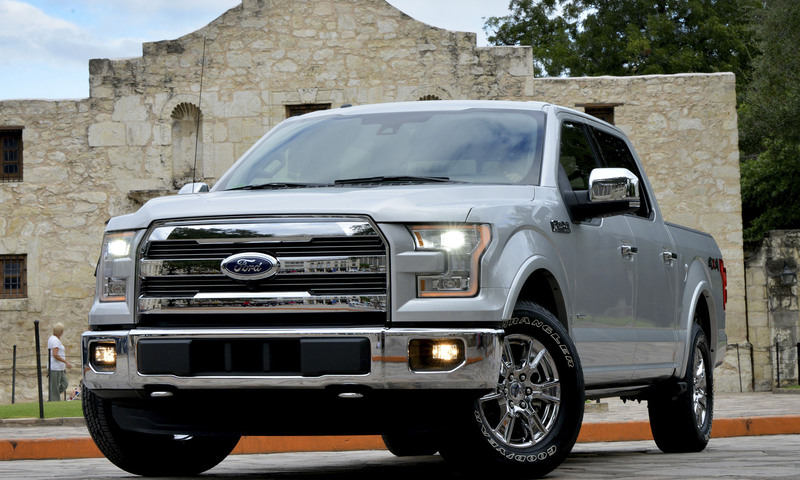 A winner once again, the 2015 Ford F-150 is the most technologically developed F-Series pickup to date. Extensive aluminum use allowed Ford engineers to drop 700 pounds from the truck when compared to the previous model. New technology includes an available 360-degree camera view, available trailer-hitch-assist rear camera view, available remote tailgate with hands-free opening and available next-generation tailgate step. 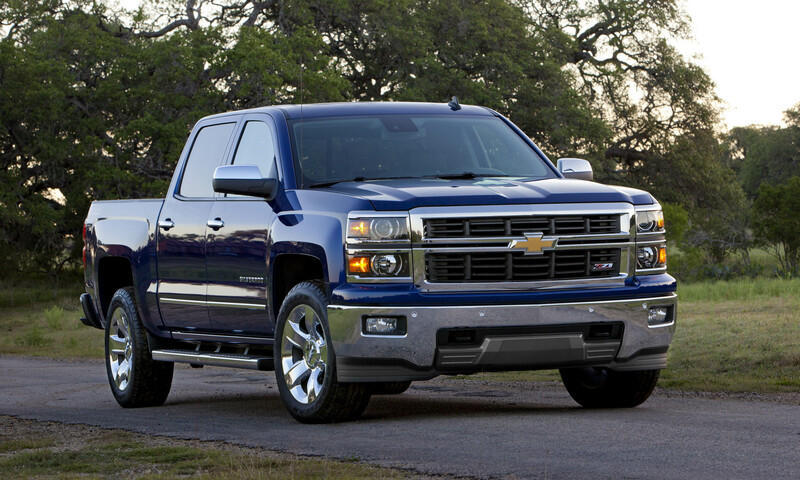 The Silverado is one of the best-selling trucks in America (second only to the F-150) and received a complete makeover for the 2014 model year. In addition to fresh styling inside and out, the Silverado benefited from three new, more efficient engines, better cargo management, and revised suspension, steering and brakes. 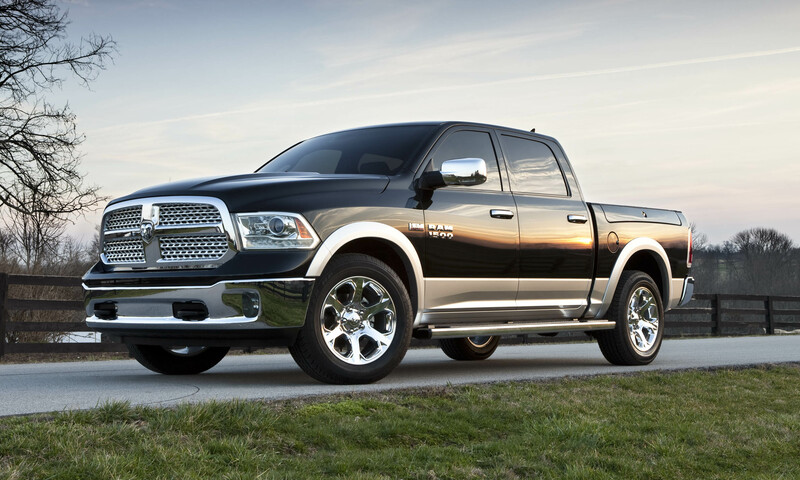 Dodge’s full-size truck received a number of changes and upgrades for the 2013 model year. Styling was slightly refreshed, but most of the changes were under the skin. Most noteworthy was the introduction of a new 3.6-liter V6 engine that produced more than 300 horsepower and was capable of delivering up to 25 mpg on the highway. When this all-new model from Land Rover debuted, it became the marque’s smallest, lightest and most efficient vehicle — ever. The stylish sport ute was available with two or four doors and powered by 2.0-liter turbocharged 240-horsepower engine. 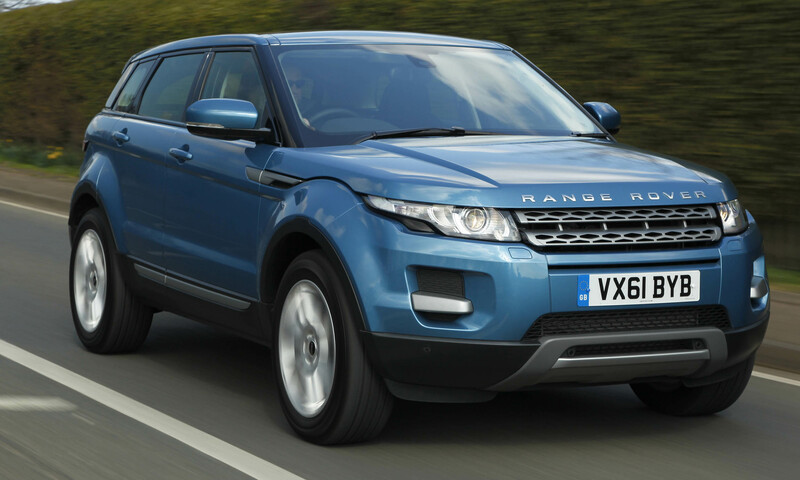 The Evoque came well equipped and was very capable off road — as expected from any vehicle wearing a Land Rover badge. The Explorer had always been a truck-based SUV, but in 2011 Ford crossed over to an all-new platform for the midsize sport ute. The new Explorer offered more room than its predecessor with a number of new features, including My Ford Touch with soft-touch controls and a more upscale appearance. The new 290-horsepower V6 engine was both more powerful and more fuel efficient than the outgoing V8. 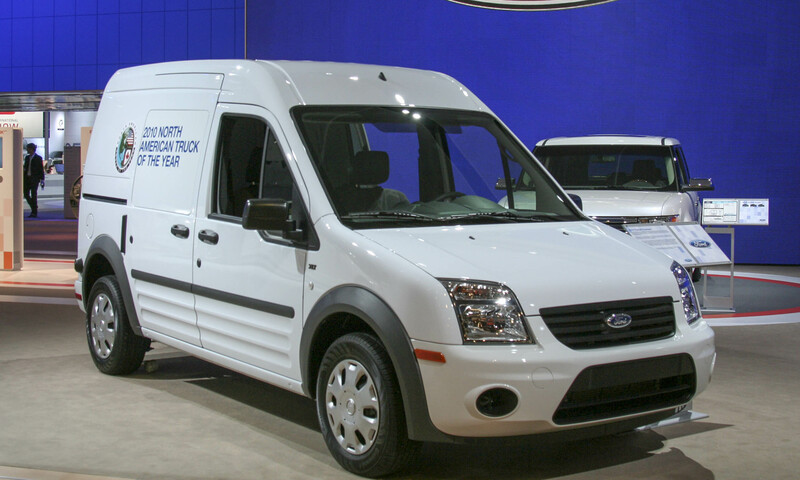 As crossovers were taking the place of minivans in the U.S. market, Ford introduced an alternative for moving cargo and people — the Transit Connect. Already on sale in Europe, this new van offered an impressive amount of space within a small footprint. In addition to its great use of space, the Transit Connect was powered by a fuel-efficient 2.0-liter 136-horsepower engine. It seems like every time there’s a new generation for Ford F-150, the popular truck wins this coveted NATOTY award, and 2009 was no exception. The new truck featured a more aggressive front-end appearance with a bigger, bolder grille similar to the style of the Super Duty. A new fully-boxed frame with hydro-formed and high-strength steel side rails made the truck lighter yet gave it more torsional rigidity for improved durability and comfort. Mazda’s first entry into the 7-passenger crossover segment, the CX-9 launched with styling that clearly fit in with the rest of the Mazda’s lineup. 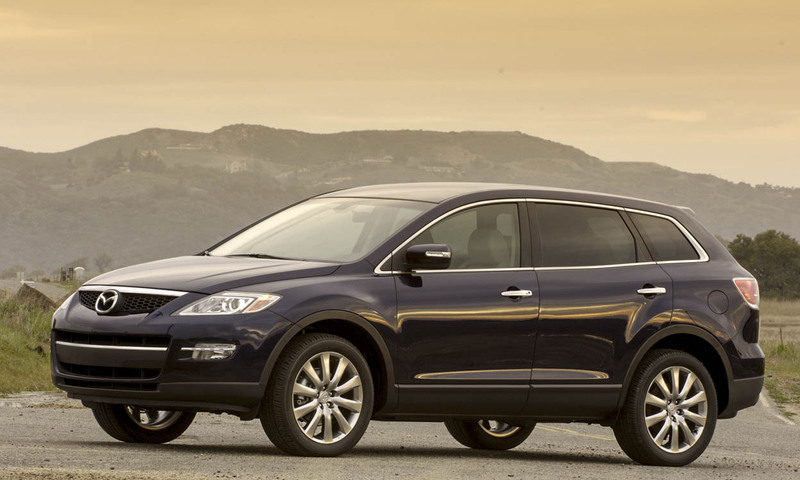 The crossover SUV rode on an all-new platform and was designed specifically for the North American market. With a 263-horsepower V6 engine under the hood and sporty handling, the CX-9 lived up to the brand’s “Zoom-Zoom” ad campaign. 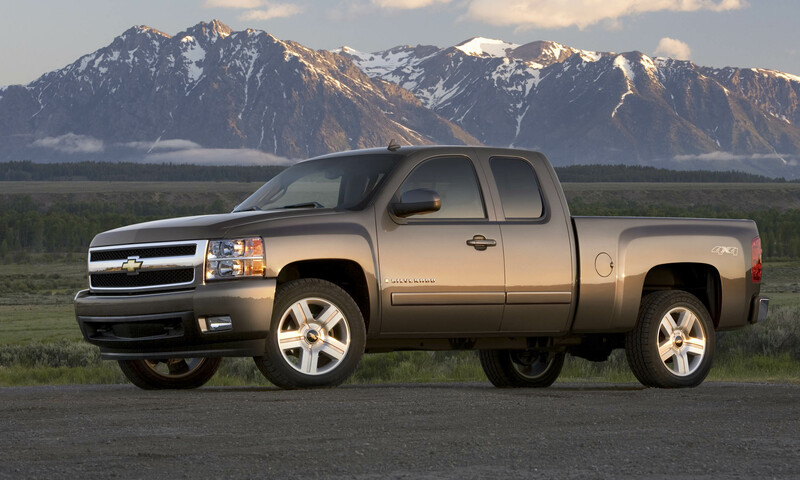 The Chevrolet Silverado began its second generation in 2007 (since being renamed Silverado — several generations of full-size Chevy pickups predate Silverado). This truck was all new, from the styling to the frame underneath, with improvements in both performance and capability. A new 5.3-liter V8 and 6.0-liter V8 were available, both of which could deactivate four cylinders for improved fuel economy. In 2006 Honda entered the pickup truck market for the first time with the unique unibody Ridgeline. Only available as a 4-door, the Ridgeline offered typical truck capabilities — a 1,100-pound bed payload and 5,000 pound towing capacity — and provided some extra features such as a lockable in-bed trunk space. 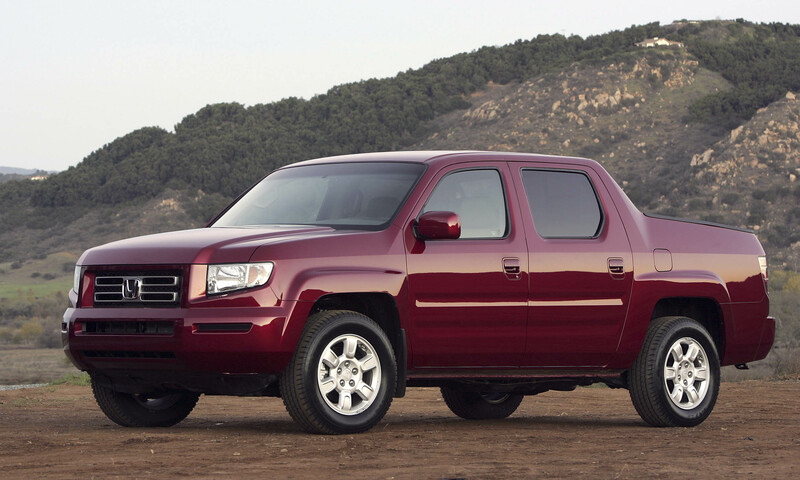 All Ridgelines came with all-wheel drive and a 255-horsepower V6 engine. 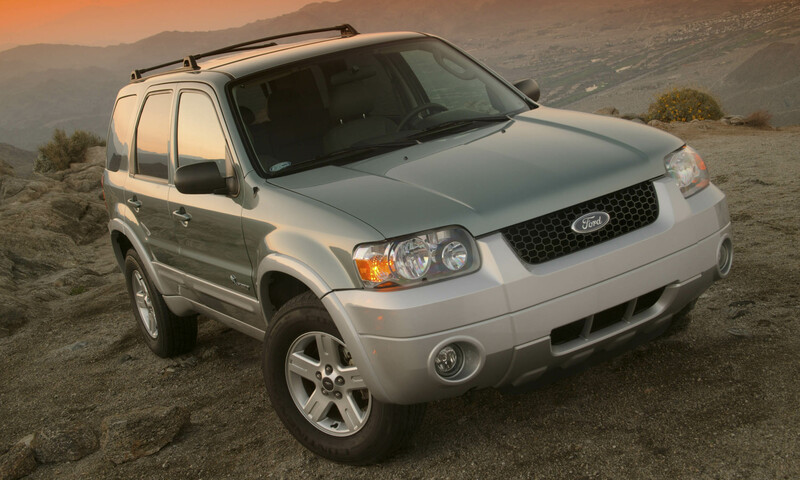 Hybrid cars had been around a few years by this point, but in 2005 Ford was the first to market with a hybrid SUV — the Escape Hybrid. Using a small 4-cylinder engine combined with an electric motor, the Escape Hybrid produced 155 horsepower and could travel up to around 30 mph on electric power only. Fuel economy was impressive for the time, rated at 33 mpg combined with front-wheel drive. 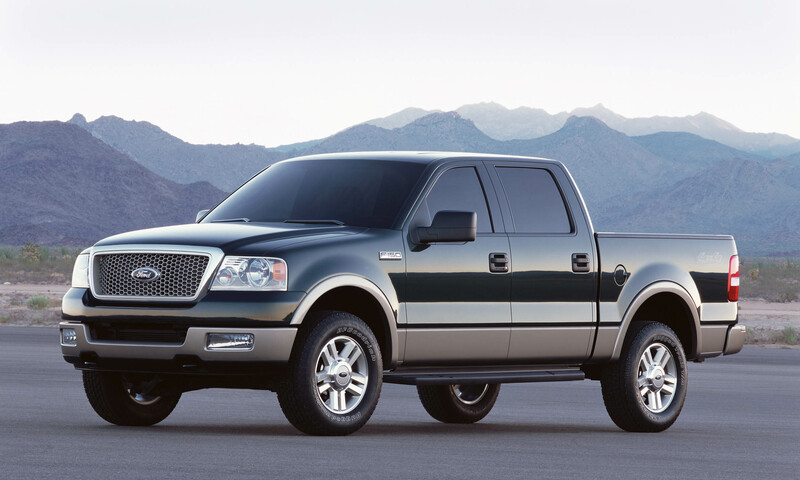 The Ford F-150 made its second appearance in the winner’s circle for the 2004 North American Truck of the Year awards. Larger than the previous version, the 11th-gen F-Series featured a taller grille and front fenders, and the sides of the bed were two inches taller. Both regular cab and SuperCab offered more interior space as well as a number of new features and improved capabilities. 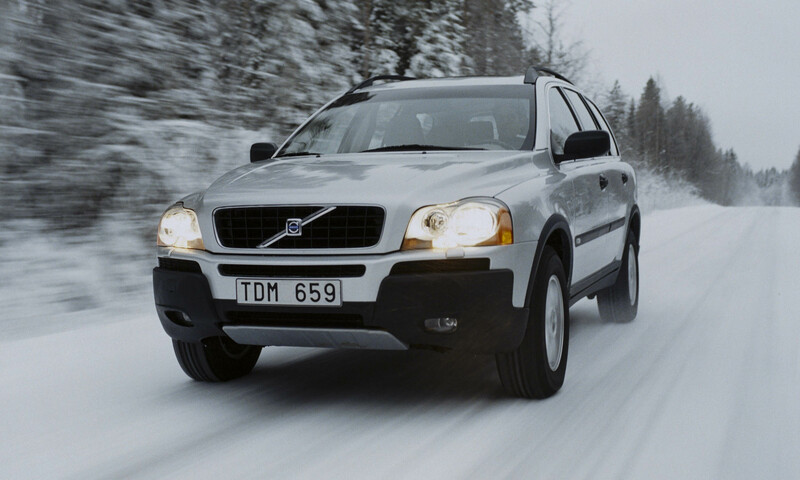 The luxury crossover market was continuing to grow in the early 2000s, so in 2003 Volvo threw its hat into the ring with the all-new XC90. The first SUV from Volvo, the XC90 showcased a number of new, innovative safety features including Roll Stability Control, Dynamic Stability Traction Control and inflatable side-curtain airbags. 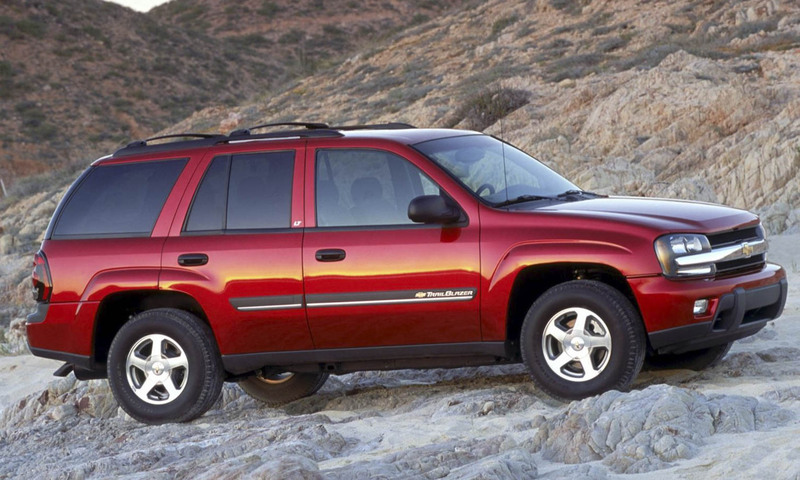 Once a high-level trim of the Blazer, the Trailblazer became its own unique model in 2002 with updated styling, more interior space and a more powerful drivetrain. Trailblazer could be had as a standard 5-passenger model or the longer EXT version with space for seven. Surprisingly, the standard Blazer continued to be built until 2005. Acura joined the luxury crossover fray when it introduced the all-new MDX for the 2001 model year. As Acura’s first SUV, the MDX was designed with both luxury and performance in mind. With a wide track and strong brakes, the MDX featured a 240-horsepower V6 engine which at the time was good enough for best-in-class acceleration as well as impressive fuel economy. 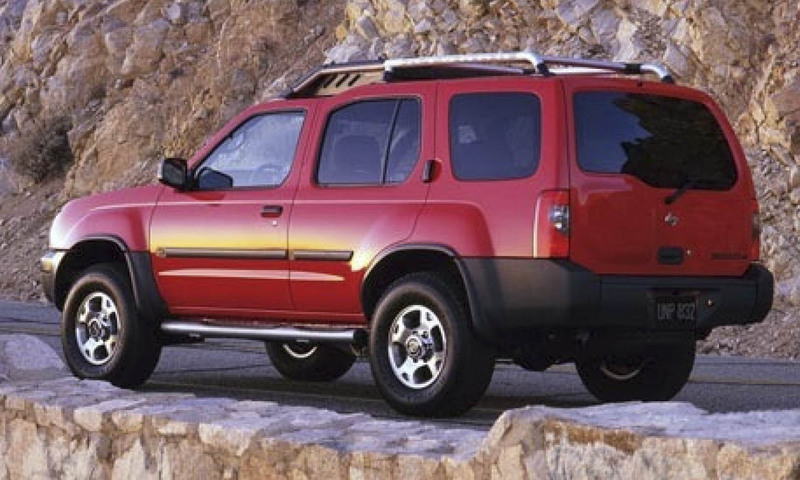 The Xterra was an all-new entry for the 2000 model year. Built on the same platform as the Nissan Frontier pickup truck, Xterra offered true off-road capability that many smaller crossovers of the time couldn’t match. The rugged SUV was available with a number of innovative features, including a removable front basket on the roof rack that could carry up to 30 pounds of wet or dirty gear. 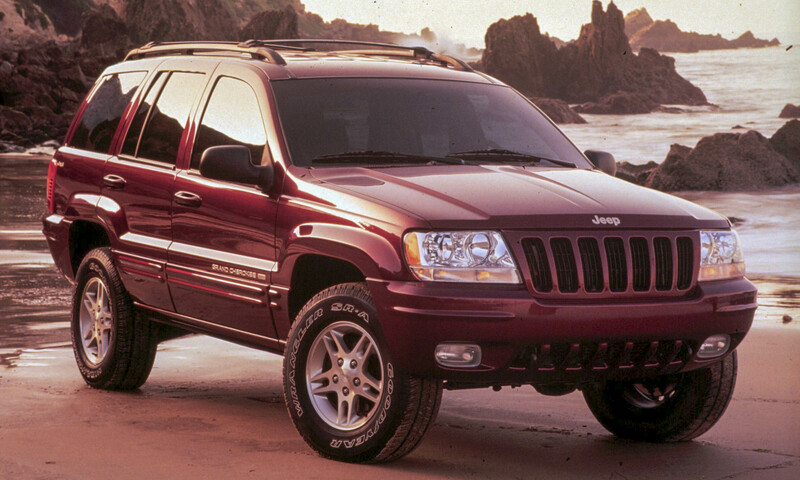 Jeep’s flagship SUV received its first redesign for the 1999 model year with a fresh look, upgraded suspension and 4WD systems, and a number of new features. The interior was roomier than the previous generation and felt more upscale with higher-quality materials. Grand Cherokee was also available with a new 5.7-liter HEMI V8 putting out 357 horsepower. 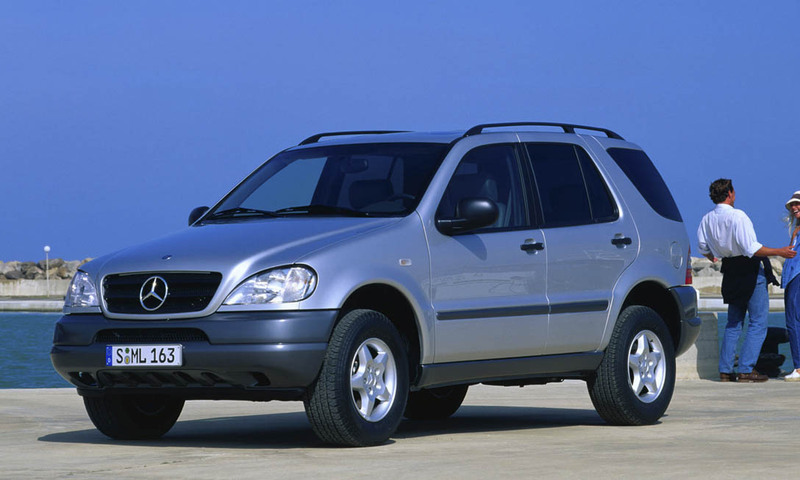 The Mercedes-Benz M-Class was the German brand’s first entry into the luxury crossover market. Built on an all-new platform, the ML320 offered the capability of a typical SUV combined with the comfort and drivability of a luxury sedan. At introduction the ML320 was the only trim available, powered by a 3.2-liter 215-horsepower V6 engine with full-time all-wheel drive. 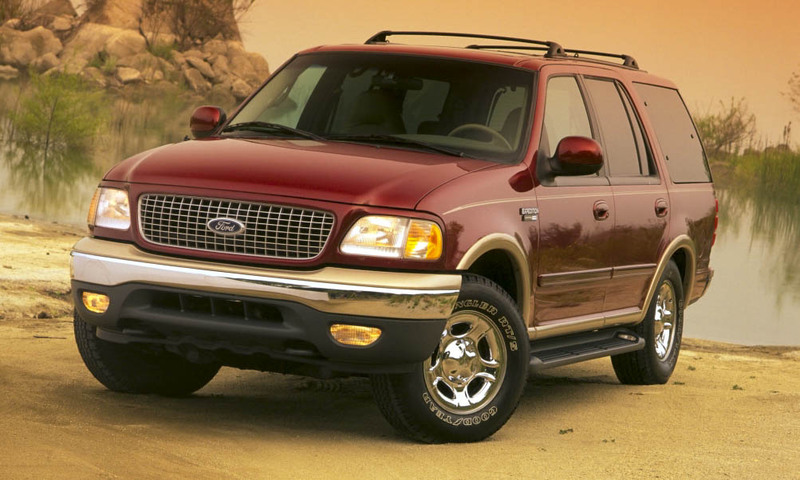 Ford replaced the aging Bronco with the all-new Expedition for the 1997 model year. 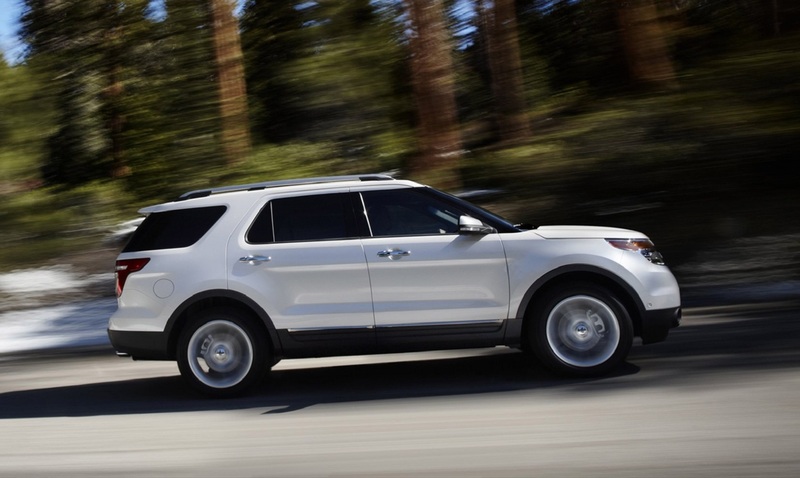 Built on the all-new F-150 platform, this full-size SUV was the first to challenge GM’s ownership of the segment. Larger than the Chevrolet Tahoe, the Expedition could seat up to nine passengers and was rated to tow up to 8,000 pounds. 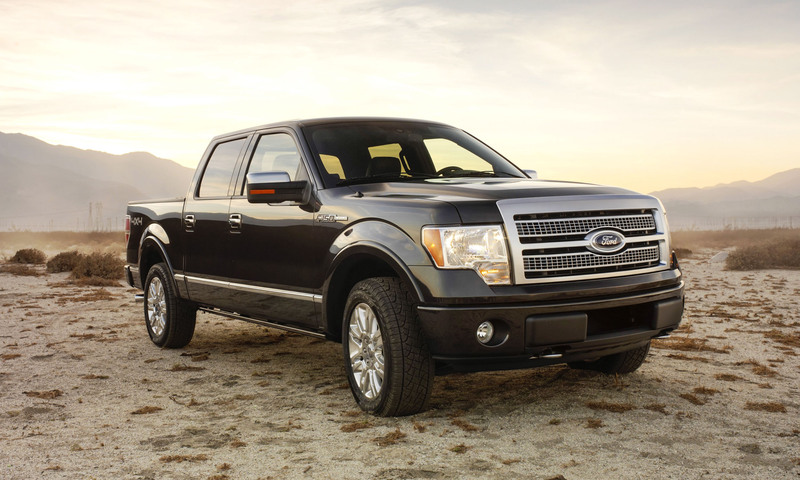 In early 1996 Ford introduced the 10th generation of the popular F-150 pickup truck. 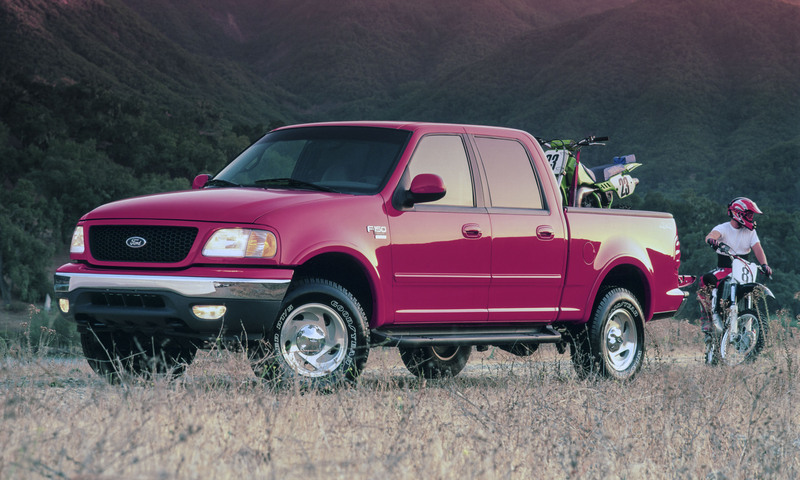 The best-selling vehicle in America, the 1997 F-150 continued its success with all-new styling, a lighter chassis and new innovations such as the industry’s first standard third door for an extended-cab pickup. A number of new engines were also introduced, including the standard 4.2-liter V6. Chevy’s midsize SUV was redesigned for the 1995 model year; although based on the S10 pickup truck, this was the first year that S10 was dropped from the Blazer name. (At that same time, the full-size Blazer was renamed Tahoe.) 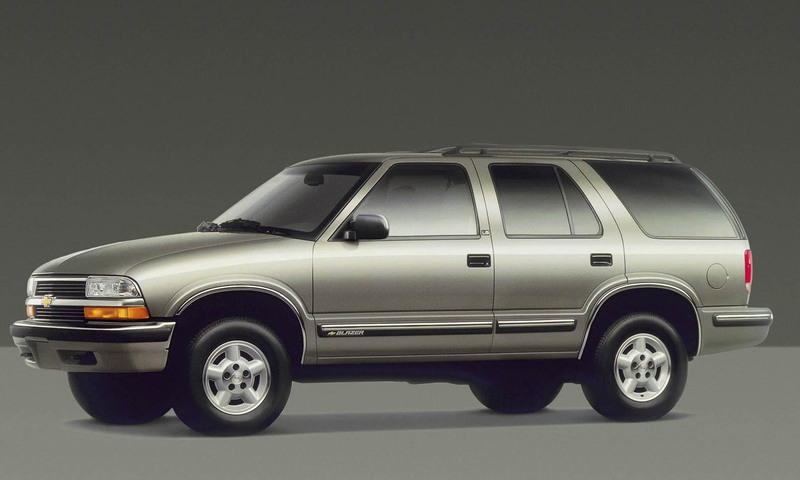 Available with rear- or four-wheel drive and two or four doors, the ’95 Blazer had a 190-horsepower V6 engine. 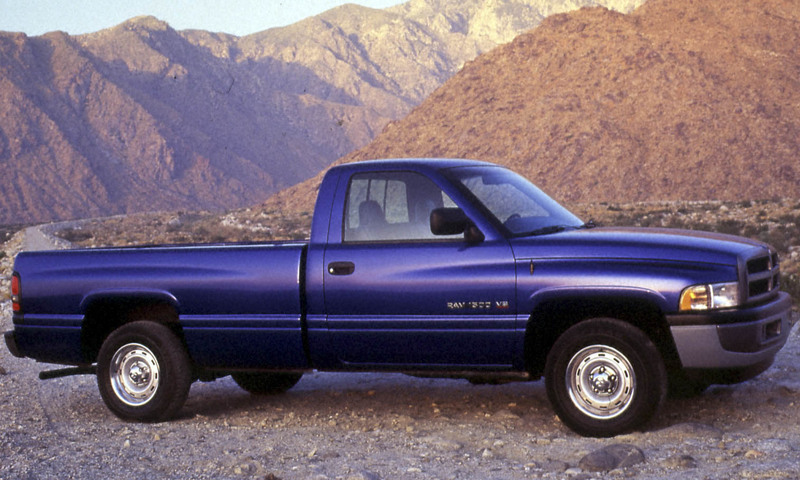 The Dodge Ram had never been much competition against the Ford F-150 and Chevrolet Silverado, but in 1994 the full-size truck was completely redesigned and became an immediate hit. With bold styling reminiscent of a big rig, the Ram saw sales jump from just 78,000 units in 1993 to 240,000 in the first year of the new model. 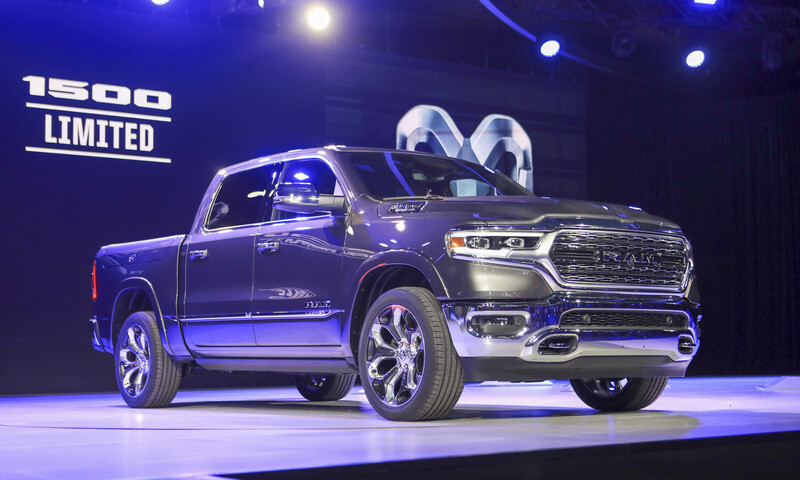 The post Ram 1500 Wins 2019 North American Truck of the Year appeared first on autoNXT.net.